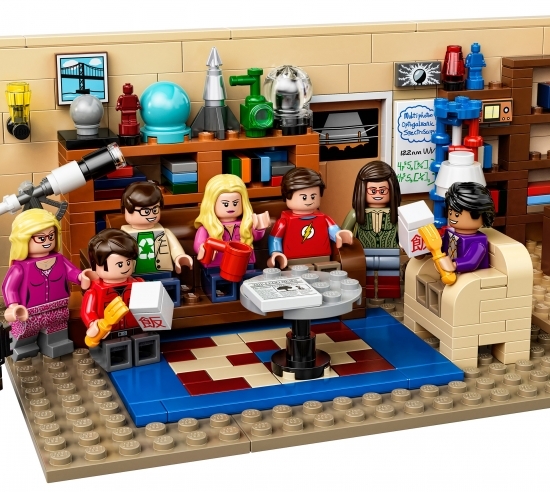 Build Leonard and Sheldon's living room for display and role play with the LEGO The Big Bang Theory Building Kit. This set was created by two LEGO fan designers-Ellen Kooijman from Sweden and Glen Bricker from the USA-and selected by LEGO Ideas members. Featuring loads of authentic details to satisfy all The Big Bang Theory devotees and including minifigures of all seven main characters from the show, it's ideal for display or role-play fun. 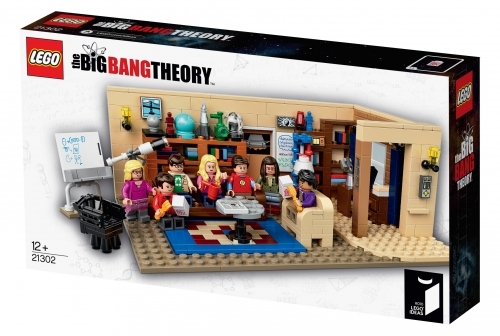 Includes 7 minifigures with assorted accessory elements: Leonard, Sheldon, Penny, Howard, Raj, Amy and Bernadette. Features Leonard and Sheldon's living room with all the iconic elements from the sitcom, including a telescope, whiteboard, DNA display model and various ornaments.